Leonardo da Vinci, the ultimate Renaissance man, is the subject of Walter Isaacson's newest book. Pictured is Leonardo da Vinci's iconic "Vitruvian Man" c.1490. After portraying titans of science, technology, engineering, and mathematics such as Benjamin Franklin, Albert Einstein, and Steve Jobs, author Walter Isaacson ’74 has now turned his attention to someone whose intellectual triumphs and artistic brilliance may outpace all of the others: Leonardo da Vinci. In a dazzling new biography, Isaacson plumbs da Vinci’s relentlessly curious and creative mind, poring over the to-do lists that da Vinci maintained to hold himself to his intellectual pursuits. Isaacson also digs into da Vinci notebooks crammed with math problems, maps, sketches of “The Last Supper,” doodles, riddles, and notes-to-self in his mirror-image handwriting in an effort to decode what he thought and to retrace how his mind darted between art and science, engineering and the humanities. As the ultimate Renaissance man, da Vinci fused rigorous observation, mathematics, and scientific experimentation with imagination and endless wonder. He was a procrastinator who managed to unlock mysteries of the human body, envision flying machines that predated recorded flight by centuries, and create two of the most celebrated paintings in Western art. He was also a perfectionist who could abandon or relentlessly tinker with projects he deemed flawed, including the “Mona Lisa.” Though known for his exceptionally sharp eye for detail, da Vinci is credited with inventing sfumato, a painting technique in which lines and edges are smudged to simulate how things appear in 3-D.
His personal life was also a study in contrasts. Born out of wedlock and having almost no formal education, da Vinci was a savant and a bon vivant popular among the political, intellectual, and courtly elite in Florence and Milan. He was a stylish, even flamboyant dresser who dated younger men but rarely shared intimate details of his personal life publicly. Isaacson spoke with the Gazette about what he learned about da Vinci’s creative process and what his remarkable life still has to teach us. GAZETTE: You’ve written about other giants of math, science, and technology. What prompted you to tackle da Vinci, and how did your exploration of his life reshape your understanding of him? 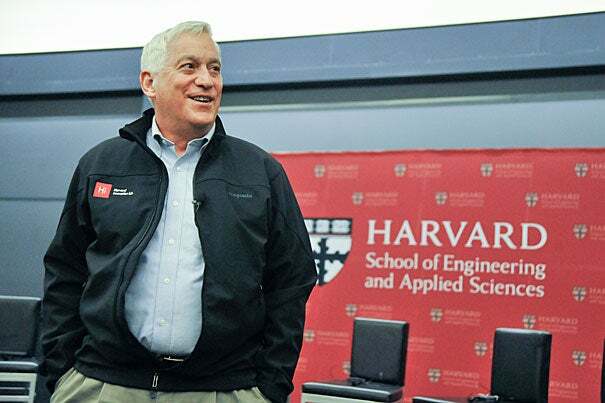 ISAACSON: In some ways, it began for me at Harvard, where the whole point of a liberal arts education is to connect the arts and the sciences in different disciplines. I realized that whether it was Benjamin Franklin or Steve Jobs or Leonardo, the ability to be interested in all fields helped enrich an appreciation for the patterns of nature and also helped enrich their lives. Leonardo is the ultimate person who connects arts and sciences, who connects the humanities and engineering. “Vitruvian Man” is the ultimate symbol of how do we fit into our earth, our universe, and into spirituality, and he does it by connecting the work of great art with the work of great scientific precision. I discovered that he had more than 7,000 pages of notebooks, so I went around the world, from Milan to Seattle, looking at his notebooks and trying to piece together all of the questions he was exploring every day. How his interest in squaring the circle as a mathematical problem tied in with his interest in the flow of water tied in with the way he did “Vitruvian Man” or the “Mona Lisa.” Likewise, I found out that he loved producing theatrical pageants and saw his notes and noticed how they connected to the tricks he used in “The Last Supper.” The purpose was to use the notebooks as a foundation for watching his mind dance back and forth between art and engineering. And that will be the most important recipe for creativity in the future. It’s not just about learning engineering or learning how to code. Nor is it about just learning about literature and poetry. It’s learning about how to stand at the intersection of the humanities and the sciences. GAZETTE: I was fascinated by those notebooks and to-do lists. Both are so ordinary and yet seem to have played such a key role in his creative process. Why did he rely on them? ISAACSON: Because paper was a little bit expensive, he crammed many things on one page. The opening notebook page at the beginning of my book has a sketch of “The Last Supper,” but it also has some geometry problems he was trying to figure out — how the same mathematical pattern underlies swirling water and curling hairs. So you see a playful and extraordinarily curious mind dancing with nature as he hops across the page. GAZETTE: Da Vinci’s belief in science, observation, and experiential knowledge was unusual for his time. Where did that belief come from? ISAACSON: It helped that he was born out of wedlock, so he couldn’t be a notary like his father and grandfather. He became very self-taught just when [Johannes] Gutenberg’s printing press is spreading. He becomes what he calls a “disciple of experience.” So he’d read something in a book and then say, “How would I test that?” Or he’d learn something like the Biblical flood and then he would sketch the layers of fossils in sediments near Florence and say, “Well, that doesn’t make sense because these were laid down over thousands of years.” So he questions received wisdom, and like Steve Jobs and a lot of creative people, he’s a bit of a misfit, a round peg in a square hole. He’s illegitimate, he’s left-handed, he’s gay, he’s vegetarian, he’s somewhat heretical. But Florence in the 1470s celebrated people who were from diverse backgrounds, whether immigrants from the fall of Constantinople or people who liked both engineering the dome of the cathedral but also painting the angels that would adorn the cathedral. GAZETTE: Da Vinci is sometimes criticized for his willingness to be distracted and go off on tangents, leaving behind many unfinished works or abandoned pursuits. You say that shouldn’t be viewed as negative. Why not? ISAACSON: There are critics who say that if Leonardo had not spent so much time studying anatomy or squaring the circle or figuring out how to divert rivers or engineering flying machines or dissecting the human eye and studying optics that he would’ve ended up painting more masterpieces and that all of these passions were a waste of time. It may be true he would have painted more masterpieces, but he would not have painted “The Last Supper” or the “Mona Lisa” had he not been deeply interested in all of the patterns across all of the arts and humanities and sciences and engineering, had he not been obsessed with squaring the circle or dissecting every muscle and nerve of the human face or knowing how light strikes the center of the retina differently from its edge. He would not have been Leonardo da Vinci; he would have been a master craftsman, but not a genius. GAZETTE: Did the scientist inform the art, or did the artist inform the science? ISAACSON: At first, the science was used in service of the art, like how do birds fly or how do the muscles of the neck look? But Leonardo, literally as well as figuratively, started dissecting the muscles of the neck and soon he’s dissecting every organ and doing layered drawings of all parts of the body for curiosity for its own sake. He can’t help himself. When he explores a piece of science he needs to know for his paintings, soon he’s geeking out to square the circle or do a cross-section of the human heart, which is not going to help him paint “The Last Supper” but it is going to help make him Leonardo. One of the things we learn is that the pursuit of useful knowledge should be allowed to flow into the pursuit of knowledge for its own sake. GAZETTE: You write that what separates da Vinci from other super-intellects and super-talents was his ability to bring imagination to intellect. Can you explain? ISAACSON: Part of his imagination comes from just being so observant about things we forget to study after we outgrow our wonder years, like why is the sky blue or what does the tongue of a woodpecker look like? And then his imagination was honed by his love of theater, and so he would build a prop, say an aerial screw to bring angels down from the rafters in a play. But then he would go on to try and make a real flying machine like the helicopter he drew, because he had the talent of letting his imagination blur into reality. GAZETTE: He comes across as a brilliant visionary, of course, but also as a complicated, thoroughly modern man. How did someone who was such a singular figure and a misfit, as you call him, find so much success and acceptance in his day? He was certainly no outcast despite his unusual talents and qualities. ISAACSON: Both in Florence and in parts of Renaissance Italy, for certain periods, there was not only a tolerance of diversity but a joy and celebration of diversity. And that’s what made Florence in the late 1400s so creative. That people of diverse talents, personalities, and lifestyles all worked together and a person like Leonardo — who wore short pink-and-purple tunics and had a young male companion and who indulged in fantasy — was beloved by both the Medicis and, later, other rulers in Italy. He had a very collegial, friendly, and kind personality. In his notebooks, there were more people referred to as “my close friend” than almost any person you can imagine. He loved Donato Bramante the architect, Luca Pacioli the mathematician, and the list goes on and on of the people he would have dinner with so he could ask them questions. He loved other people. In college or at a university, you end up being in the most diverse environment you’ve ever been in, diverse in terms of people’s backgrounds and lifestyles and diverse in terms of their interests. Leonardo loved to be around such enlivening and stimulating diversity. 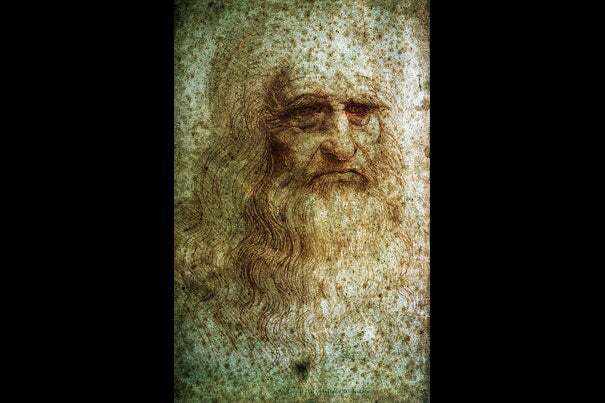 GAZETTE: What lessons does da Vinci’s life offer the rest of us? ISAACSON: We should retain the child-like curiosity that we outgrow sometimes when we leave our wonder years. And we should make sure that both our students and our children are curious about the most ordinary things, like why is the sky blue or why does water swirl when it flows into a bowl. We will never be able to push ourselves to understand the tensor calculus that Einstein used to describe the curvature of space and time, but we can all push ourselves to be like Leonardo and observe whether a bird’s wing goes up faster or down faster when it is flying or observe how the pattern of a hair curl matches the pattern of a swirl of water. That’s a combination of curiosity and observation for its own sake, not because we can make something useful out of it. Isaacson will be in Cambridge on Nov. 15 for a reading at First Parish Church at 7 p.m. Professor of English Stephanie Burt talks about her recent transition and her new book of poetry, which includes "invented memories" of the girlhood she didn't get to have.